€1620.90+ Thanks Honey! I only went 80% over budget! Amazing case! I like how they merged all the front cable panels into one cable. 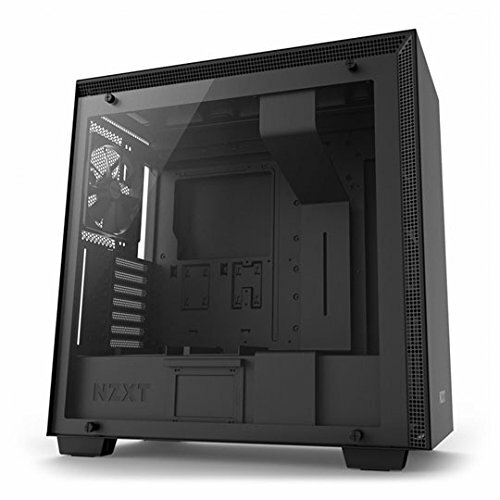 Great case, it's big, and it's perfect for this building like a lot of room and air filters in the bottom where my PSU is, in the front, and iI added 2 on top, plus great for cable management. I've been upgrading my PC for about a year now and this was easily the best case I built in. Very large case good storage room for just about everything. I built in the H500 for my girlfriend, both work really well for cable management, just want to have room for better cooling so I got the larger case. Solid case with decent air flow and noise levels. With the i9-9900k at 5GHz and the EVGA RTX 2080 Ti FTW3 Ultra at around 2025MHz, temps for each component rarely reach 70 C (gaming for around 3-4 hours). Also comes with 3 120mm and 1 140mm case fan so that a single 360mm CLC will fill out all of your cooling spots without need to purchase additional fans. And the fans are pretty decent themselves (quiet and cool), so pretty good value for me.